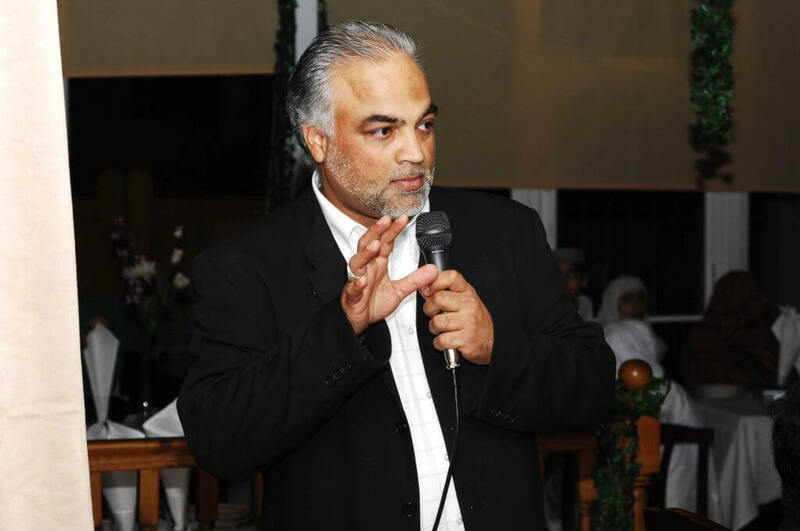 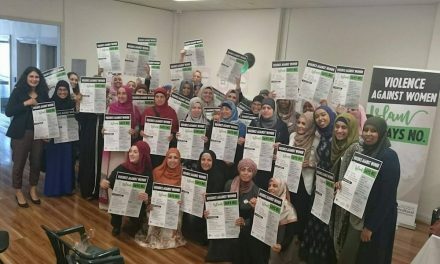 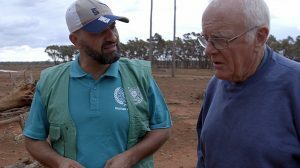 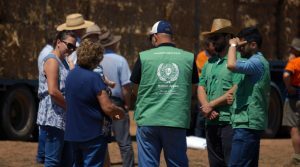 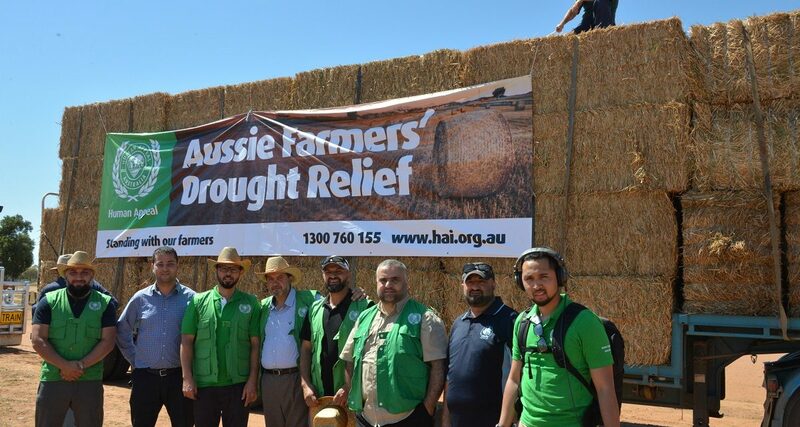 On Tuesday 27 November, the Human Appeal team including the Chairman Mr Riyad Qasim and the City of Canterbury Bankstown Councillor Bilal El-Hayek, headed out to Cobar, NSW and Warren Shire to supervise the aid distribution to farmers stricken by drought. 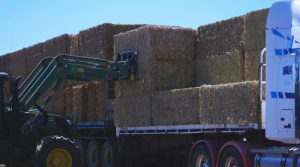 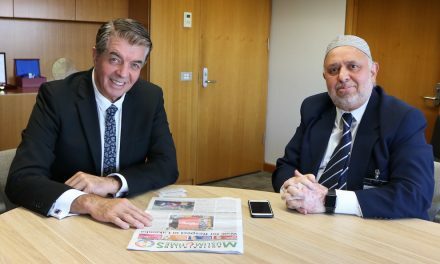 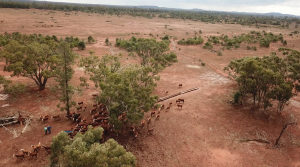 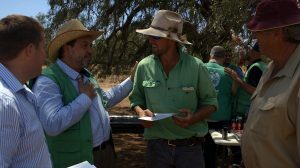 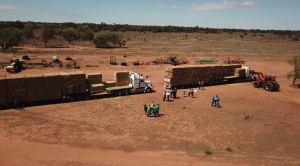 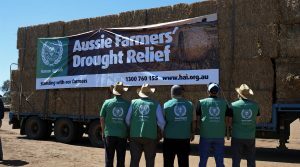 Human Appeal Australia launched its “Farmers Drought Appeal” to help drought-stricken Australian farmers on Saturday 18 August. 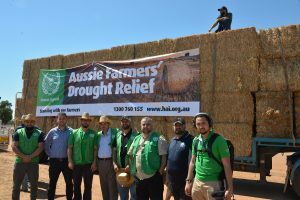 HAI with the help of the community has been able to raise and allocate an amazing amount of $90,000 to help alleviate the hardships faced by farmers. 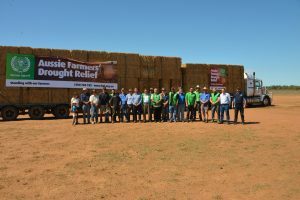 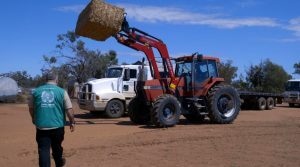 With the help of Cobar Council (a sister Council to Canterbury Bankstown Council), the aid was distributed among farmers in Cobar. 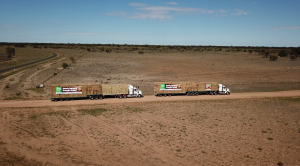 The following day, in conjunction with Fletcher International (Human Appeal’s Qurban project partner for the last 27 years), bales of hay were distributed in Warren Shire. 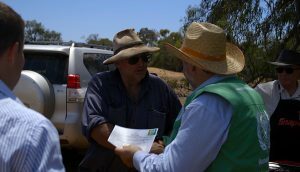 Mr Riyad Qasim handed out hay vouchers to farmers affected the most in Cobar and Warren. 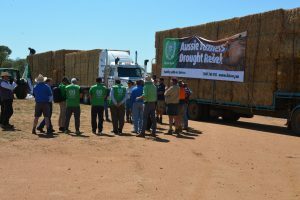 The vouchers enabled them to collect their bales of hay instantly. 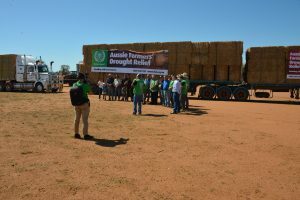 The farmers expressed their gratitude and appreciation to the generous donors who contributed to this great cause. 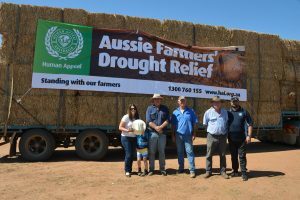 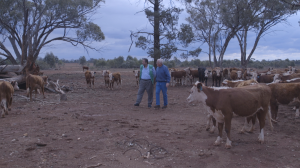 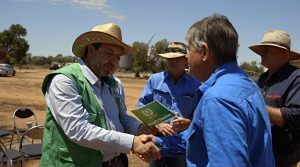 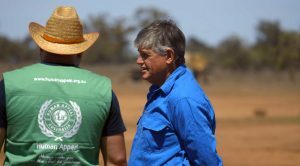 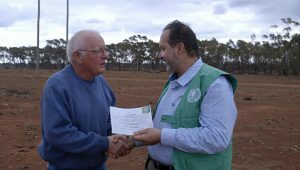 Mr Rusty Mitchel, a farmer of Cobar NSW, thanked Human Appeal’s donors for standing with farmers not only financially but also for emotional support during the prolonged drought and rural hardship.